The selection gathers museums and galleries in Berlin that specialize in architecture. They present exhibitions with an architectural approach from architects, urbanists, visual artists, media artists, architecture schools and architecture firms with projects from buildings around the world. During the year many of these museums and galleries host events like openings (or vernissages), competitions, award ceremonies, seminars, workshops, working spaces, and many other architecture-related curiosities. These spaces are of all shapes and forms, weather you are in the mood for some small exhibition or a full size museum, these places will not bore your architectural eye. From world known architects' projects to impressive student work, Aedes is a space where you will always find models, plans and other mixed media addressing architecture and urban design. The place where it is located is also worth the visit where you can find interesting industrial brick architecture and other galleries, including this list's number 5 Tchoban Foundation | Museum for Architectural Drawings. This space specializes in Landscape architecture. Models and other examples of architecture visualization are presented as art work in a very special spot in Savignyplatz, under the railways and inside a cozy brick arcade. This world class museum is a unmissable visit for architects in Berlin. Weather you are a modernist fan or not, here you will get inspired with this Bauhaus clear ideology that was developed in architecture as well as graphic and industrial design. The building is an art work on its own. The building's volume represents a series of drawers that keep architectural drawings inside, and the facade shows engravings of such drawings. The museum is a must for architects in Berlin. Initiated by the Association of German Architects, DAZ is a think-tank with workshops, exhibitions, talks, film nights and book presentations that discuss architecture, spatial production and urban life. The exhibitions presented here expect to start a good architecture discussion. As part of the Association of German Architects, BDA shows exhibitions in the border between art and architecture. The starting point of the dialog inside the gallery is the way how the art of building contributes and is part of social, economic and cultural forces. The BDA organizes competitions specially for freelance architects and planners. Here architecture projects and designs are presented in conceptual exhibitions developed especially for the gallery. This is a place to find interesting experimental projects as well as architecture photography. The Architektur Galerie Berlin publishes a calendar (AAB) about current architecture exhibitions that every architect in Berlin should know about. Inside the library of the Technical University of Berlin you will find this museum that gathers architectural drawing from iconic architects from the 19th and 20th Centuries. 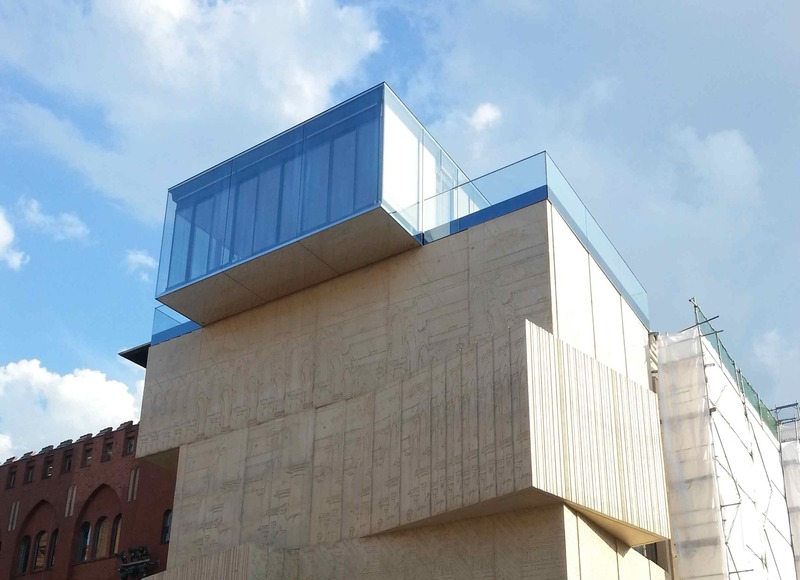 The museum focuses on important architecture from the past but also promotes current exhibitions. A one of a kind space, only 5m2 for exhibitions surrounded with areas for other activities. It represents the importance of integrating architecture as art among daily work, eat, shop and sleep. Ortner & Ortner architects gather their artistic work (including models, drawings, sketches..) in this gallery project called O&O Depot were they show, sell and continue to examine the art of building. The space began as a research project, then became a prototype buildings and now it is an exhibition space. Apart from being a work of art in concrete, Plattenpalast houses architecture and art exhibitions inside its prefabricated walls. With a vast history in the search for quality in design architecture and therefore quality of life, the Werkbund organization presents exhibitions and discussions with their members as well as non-members. This gallery-like museum owns a permanent exhibition that includes models and architecture drawings from projects that have been built in Berlin as well as competition entries. The Berlinische Galerie also organizes exhibitions and events about architecture, art and photography.